Ogalo Bondi joined our Mission to help provide access to “Clean Water for All by 2030”. This Mission was initiated by the United Nations. A big thank you to Ogalo Bondi’s team and customers for joining this extremely important mission on 15 December 2017. 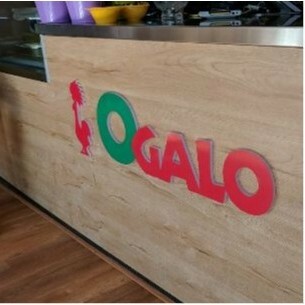 Ogalo is a leading Casual Dining Restaurant in Sydney providing customers with a culinary experience like no other. With our enticing special recipe and appealing superior taste alongside our reputable customer service (with table service at all non food court style restaurants) we are able to appeal to our customers ever-evolving needs and preferences to ensure our Brand continues to grow and penetrate the marketplace. At Ogalo, we are part of the new 'taste evolution' creating our own timeless, all inspired basting sauce combining fresh chilli, garden herbs and exotic spices that tantalize taste buds and draw out the natural goodness of our chickens and burgers. If you like it hot, then have a lot, if not just a little... We will make it just how you like it. We only use premium quality produce and we take time in freshly cutting and marinating our chickens; yes, that's right, every chicken and every fillet of our famous Ogalo burgers.